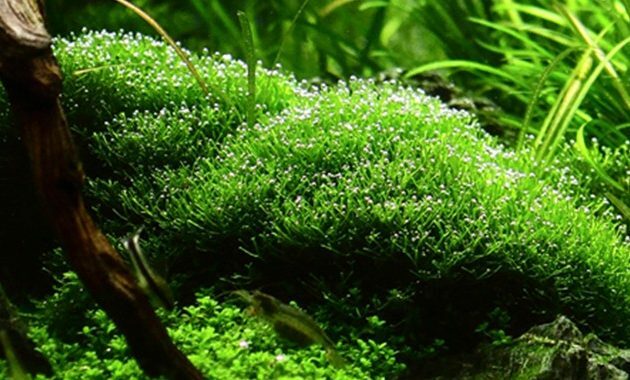 aquascaper.org | Fast Growing Carpet Plants Aquarium “Riccia Fluitans or Crystalwort Moss” – Riccia Fluitans, usually called Crystalwort Moss is one of the aquatic plants that stand out. 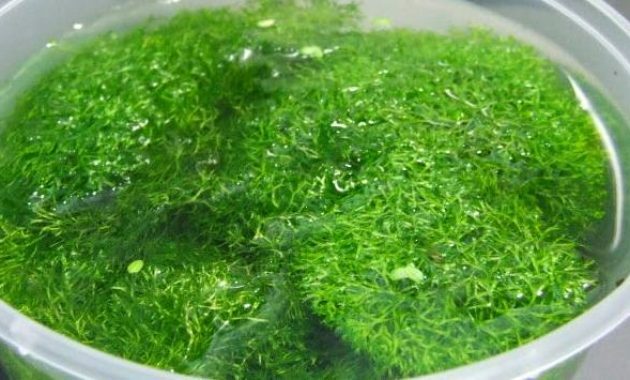 This plant became famous because Takashi Amano showing this moss in his tank. Riccia has more than 180 species, and mostly not water plants. But Riccia Fluitans is one species from Riccia that can grow in water. It’s often seen floating in the waters around the river or live in the cracks of rocks and driftwood. Riccia Fluitans grows like Monoselenium Tenerum, bright, colorful, dividing and growing, branching thalli while growing. Sometimes this plant grows with darker leaves, look dull and almost transparent. Riccia Fluitans is the right choice for a foreground plant which can grow faster. Read other articles about Aquarium Carpet Plants, here. Although Riccia floating tends to grow, this can be attaching on wood or stone with thread, fishing line, or hair net. This Moss Plant will not be included with the hardscape so that after the plant grows to exceed the weight that was able to put on hold the nets, it would crush the hairnet and loose. That is why the Riccia is high maintenance, because of the need to strap it back every couple of weeks. If you want to keep this plant, the easiest way is to make it float. Take advantage of high levels of CO2 in the air and close to the bright light, Riccia will grow well. Planting Riccia Fluitans in submersed will make it look brilliant and sparkling like diamonds. 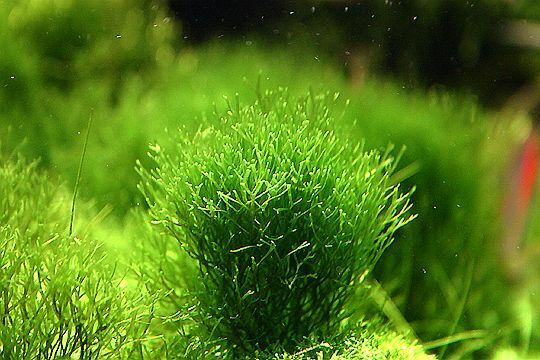 You must use CO2 with high level and add highlighting for make this moss plant grow healthy and strong in submersed. But if you fail to maintain these plant, it would look weak, frail and pale.